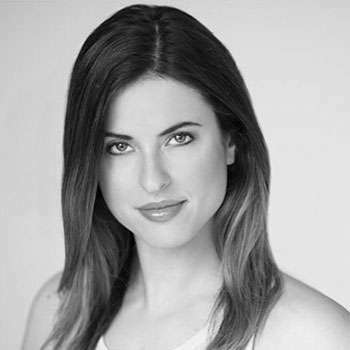 Dani is a passionate, motivated adjudicator, choreographer, dance teacher, and entrepreneur with over 15 years of experience in the industry. She has extensive training in many genres including jazz, tap, ballet, hip hop and contemporary. Winning numerous dance and choreography awards throughout her years within Canada and the US, Dani has continued to bring dance into her adult life. Dani was a member of the Toronto Raptors Dance Pak in 2013-2014. She currently teaches competitive jazz, tap, and hip hop at All That Dance and Rhythm in Toronto as well as guest teaches at various studios within the GTA. Dani was a back up dancer in Billy Blanks Junior and Sharon Blanks’ DVD called Dance It Out (DIO). She was also a back up dancer for Hedley at the 2014 MMVA’s. Dani is the co-producer of Raise the Rhythm, a charity fashion and dance event that raises funds for different Canadian charities. She has performed in shows such as Dance Ontario, Toronto’s Next Bombshell, Choreographer’s Ball, and Bazaar. Dani is a member of the Professional Adjudicators Alliance. She is known for her expertise in various dance styles and she is always excited to bring her knowledge and passion to the judge’s panel. She has the capability to judge all levels of dance with professionalism and aptitude. Dani has a mature understanding of what competition owners, parents and students need and considers herself to be a team player. With her versatile background and well roundedness, Dani aims to make the adjudicating and overall competition experience successful for all parties involved. As an adjudicator and full time instructor, Dani continually strives to inspire dancers with her positive energy and hopes to grow and gain more knowledge within the field.